Parse.Query is a central Parse programming feature that lets the programmer setup conditions to retrieve particular Parse objects. It is widely used for creating dashboards, games of strategy and various others types of app, but it has its limitations. One of the major challenges programmers face is the need to development apps with real-time support. A team of developers cannot work together editing a single file simultaneously and easily keep track of all the updates with Parse.Query. Parse LiveQuery was developed as a solution to Parse.Query’s limitations. This new tool allows a developer to subscribe to real-time notifications of particular Parse.Query creations and updates. For example, they can set a condition to have the server notify them if changes are made to a specific class. In this way, the developer learns instantly when database changes are made, regardless of their source. They also benefit from resource savings because Parse LiveQuery obviates the need to keep polling the database to find out if anything has changed. How can I use Parse LiveQuery on Back4App? It is very simple. First of all, you need to activate Parse LiveQuery for those classes you want to use real-time. Secondly, you download and install the SDK that supports the SDK pointing to your new API endpoint. Now you can use Parse LiveQuery on your code. 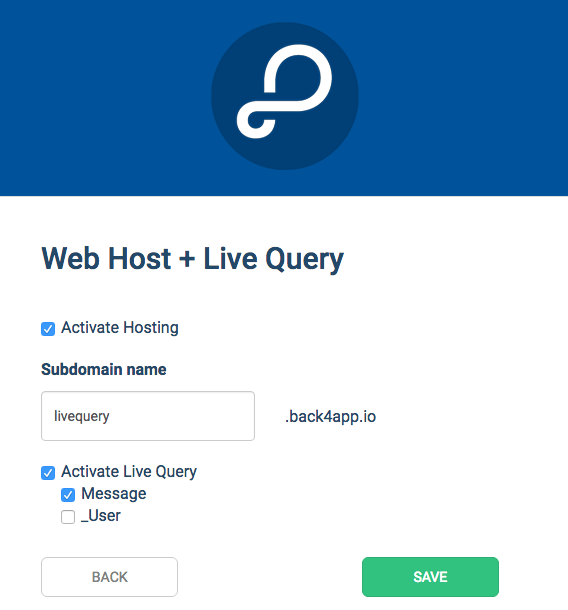 The Back4App servers need to know that you are sending a live query request — enable your web-hosting service to send these requests to a different endpoint. Select Activate LiveQuery and then select which classes you want to activate the LiveQuery. Download and update your App with the latest SDK version that supports LiveQuery. Now your Live query is ready to be used.